Confusion, lack of money, Joane Florvil is still in the morgue in Chile nearly a month after her death. Her family wants to repatriate her body for a "National Funeral" in Haiti but they don't have a dime, according to a Chile newspaper. 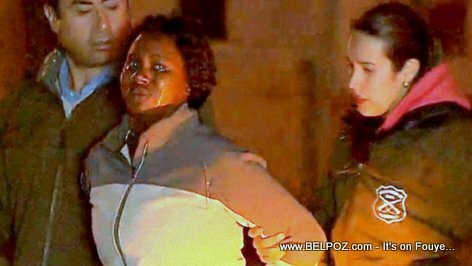 28-year-old Joane Florvil died in the hands of authorities in Chile after she was arrested on August 30th in an incident where she was wrongly accused, according to members of the Haitian community, of having abandoned her two-month old child. There seems to a bit of confusion over who gets the body where the funeral of Joane Florvil will be held. Realyno Florvil, Joane's brother told a Chilean newspaper: "We are reviewing with the government of Haiti what process we will use to repatriate Joane's body to Haiti." Confusion, manque d'argent, Joane Florvil est toujours à la morgue au Chili près d'un mois après sa mort. Sa famille veut rapatrier son corps pour une "Funérailles nationale" en Haiti mais ils n'ont pas un sou, selon un journal chilien.